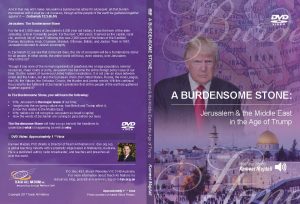 A Burdensome Stone - Jersusalem & the Middle East in the Age of Trump (2017) (MP4 Download) - Teach All Nations inc.
understand what is happening as well as why. 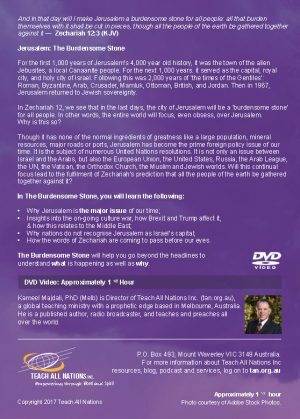 For the first 1,000 years of Jerusalem’s 4,000 year old history, it was the town of the alien Jebusites, a local Canaanite people. For the next 1,000 years. it served as the capital, royal city, and holy city of Israel. 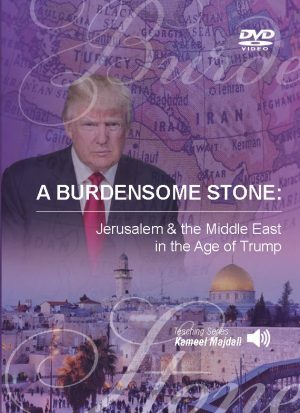 Following this was 2,000 years of ‘the times of the Gentiles’: Roman, Byzantine, Arab, Crusader, Mamluk, Ottoman, British, and Jordan. 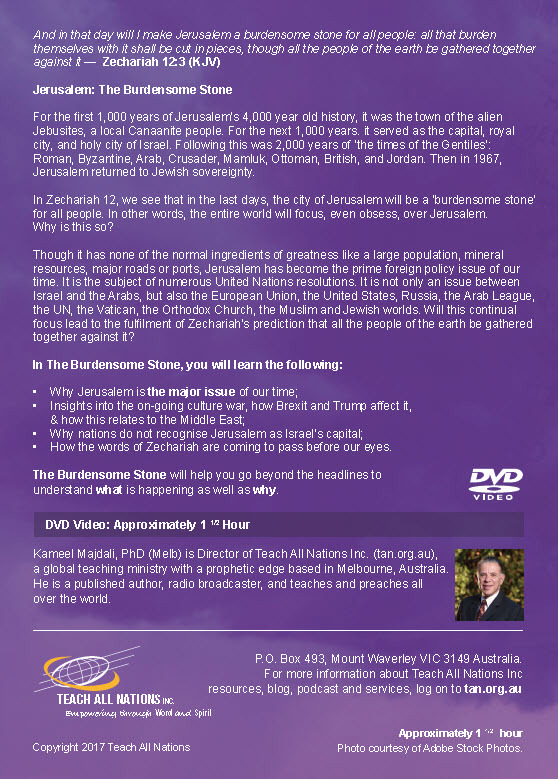 Then in 1967, Jerusalem returned to Jewish sovereignty. 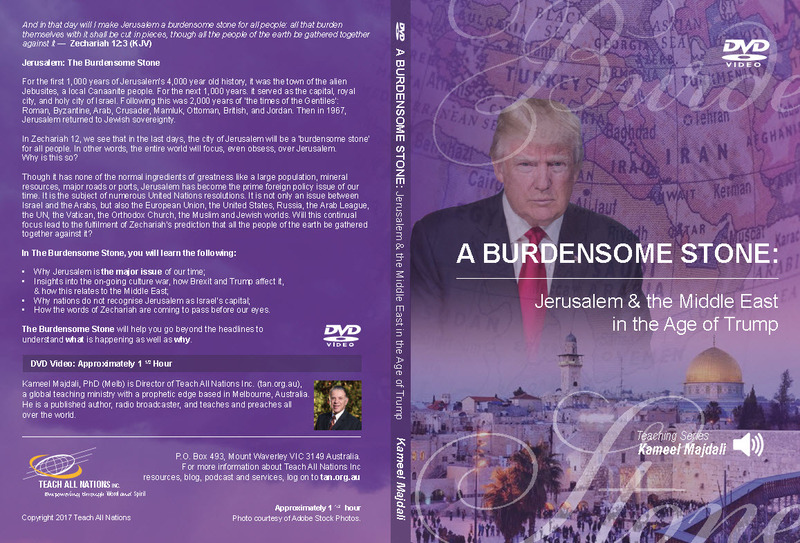 In Zechariah 12, we see that in the last days, the city of Jerusalem will be a ‘burdensome stone’ for all people. 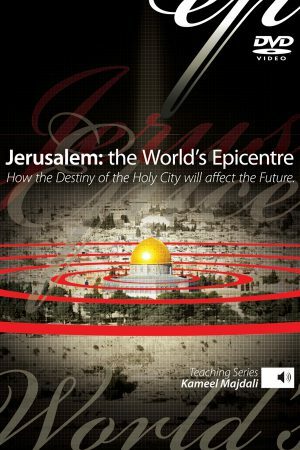 In other words, the entire world will focus, even obsess, over Jerusalem. Why is this so? 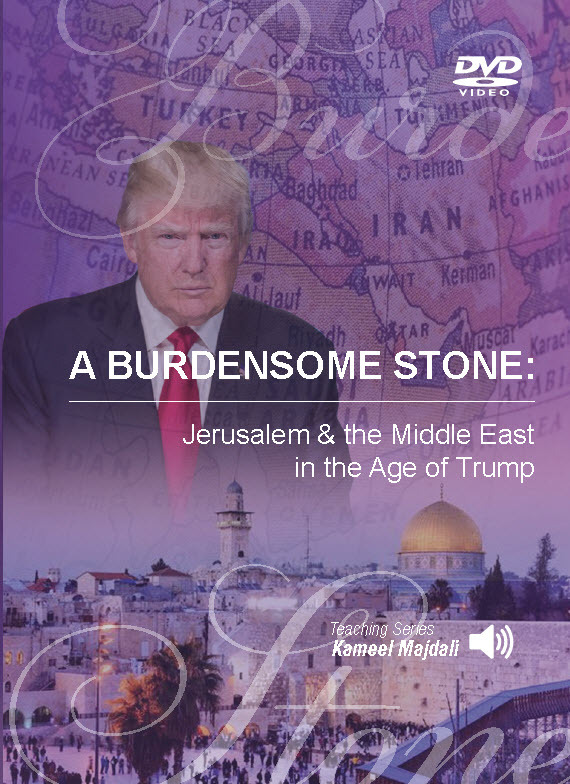 Though it has none of the normal ingredients of greatness like a large population, mineral resources, major roads or ports, Jerusalem has become the prime foreign policy issue of our time. It is the subject of numerous United Nations resolutions. 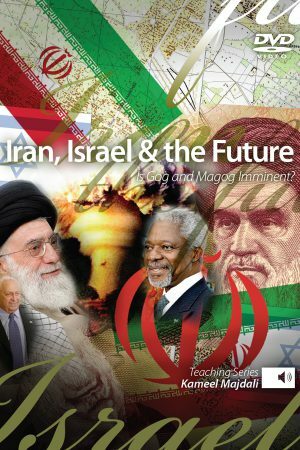 It is not only an issue between Israel and the Arabs but also the European Union, the United States, Russia, the Arab League, the UN, the Vatican, the Orthodox Church, the Muslim and Jewish worlds. 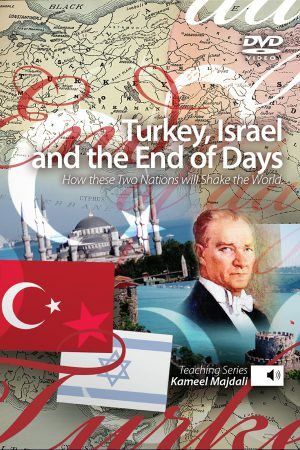 Will this continual focus lead to the fulfilment of Zechariah’s prediction that all the people of the earth be gathered together against it? How the words of Zechariah are coming to pass before our eyes.